Teresa “Terri” Ann Neufeldt was born on August 17, 1954 in Oklahoma City while her father, Jim was playing AAA baseball during Spring Training. She was Jim and Mary Neufeldt’s first of five children. Family legend has it that as a toddler, Terri would stand on the porch of the Oklahoma City home in her cute pinafore and call out, “Hi Boys”! Terri grew up on the westside of Chicago on Monroe St. until age 11 when her family moved to South Oak Park. She and her siblings Cathy, Jim, Cindy and Karen attended Irving Elementary School and Oak Park River Forest High School, where Terri was heavily involved in cheerleading, A Capella choir and Mixed Ensemble. After graduating in 1972, Terri left the Chicago area to attend Southern Methodist University in Dallas. Terri chose SMU because of their Study Abroad program and received a full scholarship to attend. While in high school, Terri’s choir toured Europe, so her curiosity for all things international was sparked, and at SMU, she was able to foster that interest. Terri spent a semester in Madrid, Spain, and while in Europe, met up with her mother, Mary, to reconnect with their family living in Greece. Terri’s drive allowed her to take advantage of every opportunity within reach. After graduating from SMU in 3 years with a degree in Education and Spanish, Terri headed straight to Thunderbird School of Global Management in Phoenix. Her professional career began post-graduation in 1976 as a bank examiner for the Comptroller of the Currency. Terri’s job allowed her to go all over the world, combining her passion for travel and interest in banking. While working at her homebase offices at the Sear’s Tower, Terri met Charlie Race, a fellow bank examiner and the two were married in 1979. 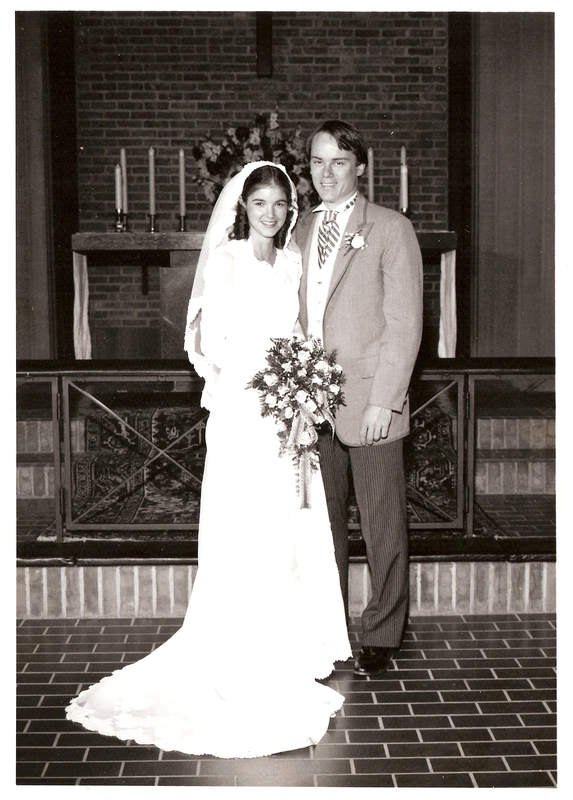 The couple moved to River Forest in 1981, staying close to Terri’s parents. By this point, Terri’s family had grown to two children, (Jason, 1983 and Mariel, 1985). Given her expanding family and additional responsibilities, Terri retired from banking to become a homemaker in 1986. Once at home, Terri and Charlie welcomed two more children (Nathan, 1988 and Tasia, 1991) and dedicated themselves to the lives of their children and the community in which they were being raised. Terri became a strong supporter and administrator for River Forest Little League and AYSO soccer, helping both programs expand in the 1990s. She also taught Sunday School at First Presbyterian Church in River Forest. With 4 children then in local public schools, Terri launched a second career in 2000 as Technology Aide in District 90, supporting teachers and students as the “go to” person for hardware installation and software training. Her devotion to District 90′s technology initiatives was, after her family and sports, one of her great passions. Terri was in many ways a very private person and preferred quiet weekends at home with her family rather than a night on the town. She won over many neighbors as lifelong friends due to her unswerving devotion in helping them conquer life’s daily problems, whether it was debugging a software program, setting up a new cell phone, or helping with a project. She was honest to her core, and expected the same from family and friends. Terri was well-known to her family and in her community for the drive and dedication she endlessly exemplified. She was devoted to whatever she put her mind to and never left a job unfinished. She was an outstanding role model for anyone that knew her. Terri lost her battle to leukemia in December 2010 after “fighting the good fight” for that year. She is missed by many every day.